Carrying a portable boost of power for your mobile phone has never been an exercise in fashion, but the QBracelet is a remarkably stylish way to tote around a bit of battery top-up power. The QBracelet can be worn on the wrist like any other bracelet, and for a tech accessory it’s actually quite attractive. Different sizes let it fit both men and women, and a unisex design means that it doesn’t look out of place on any wrist. 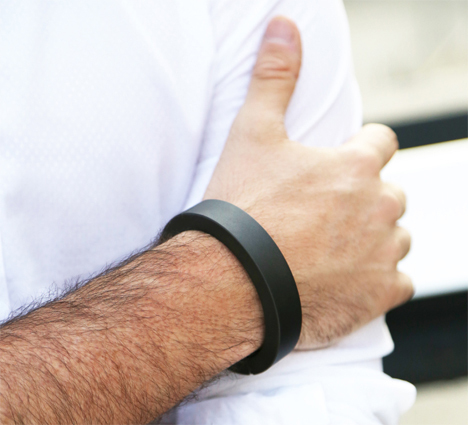 When your phone is running low on battery, you open up the QBracelet via a concealed hinge in the middle. One end of the newly-open side contains a charger attachment; the other end contains a port for charging the bracelet itself. 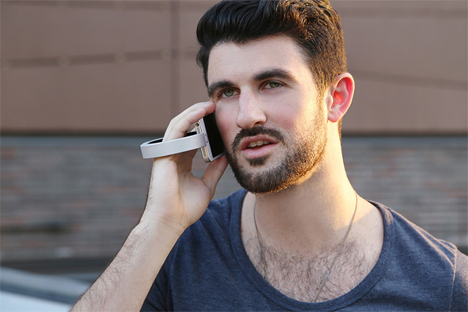 The bracelet plugs directly into the phone’s charging port and wraps around the back of the phone to look like a rounded handle. You can use the phone while it’s charging without disrupting the charging cycle. With a fully charged QBracelet, you can boost your phone’s power to about 60% via the integrated rechargeable lithium-ion battery. 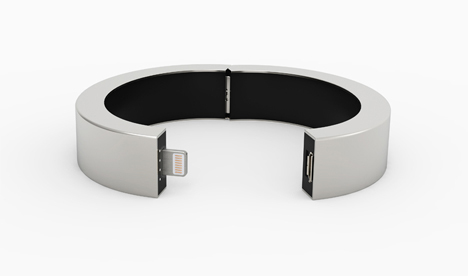 The bracelet comes in micro USB and Apple versions as well as four different finishes. It’s available for pre-order at the company’s website for $78. See more in Phones & Mobile or under Gadgets. December, 2014.